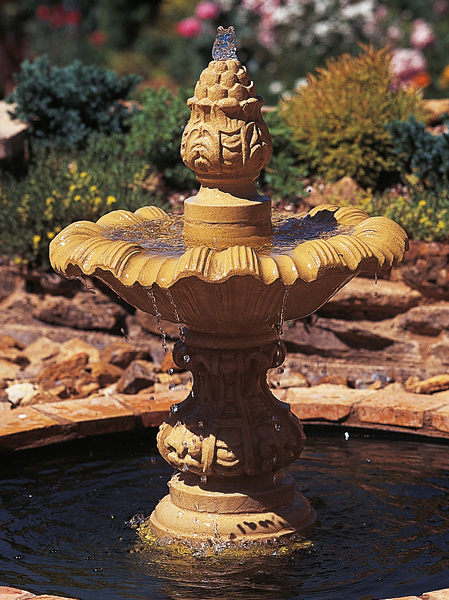 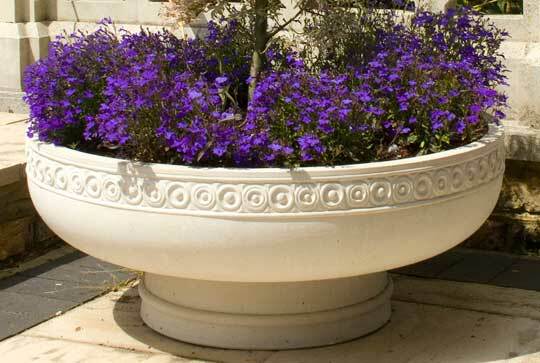 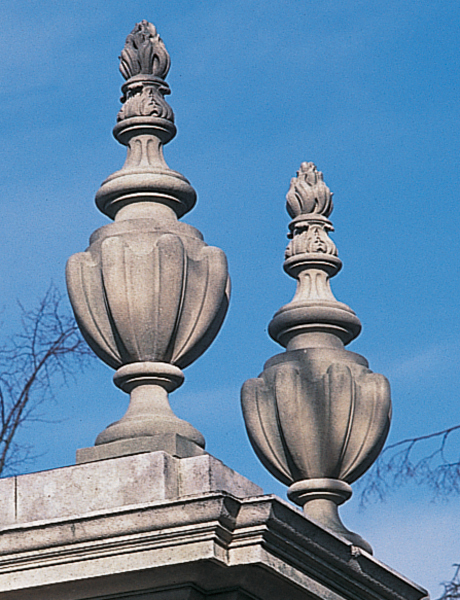 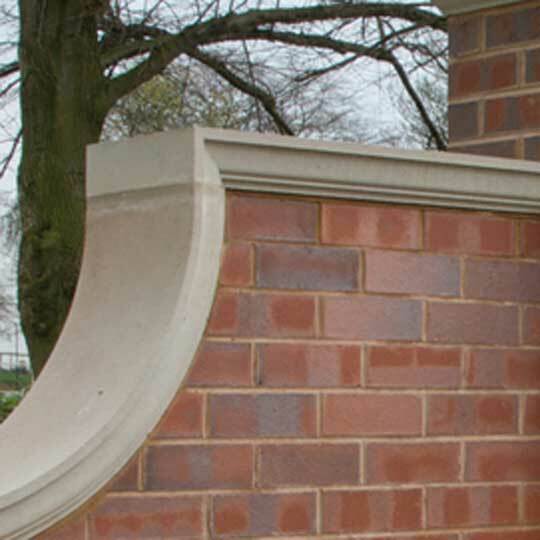 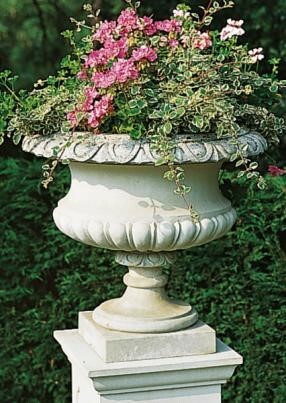 The cast stone Hadrian Vase from Haddonstone is a decorative garden ornament. 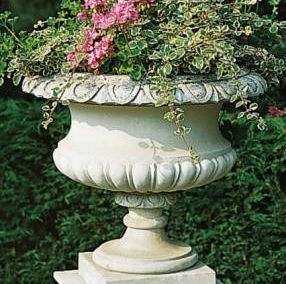 The Hadrian Vase combines a half-gadrooned bowl with egg-and-dart rim, two scroll and foliate carved handles, a circular socle and square base. 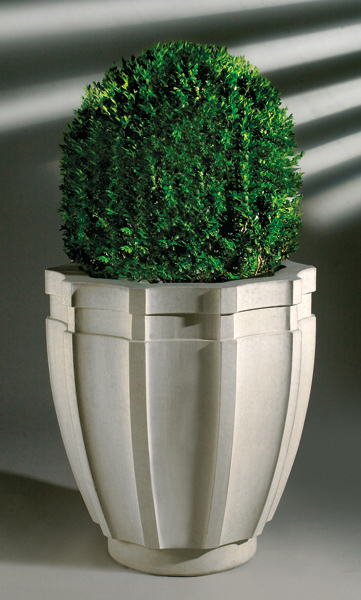 The Hadrian Vase is also available without handles. 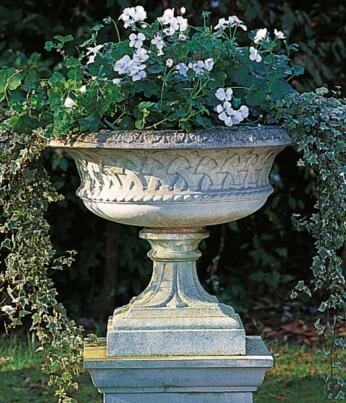 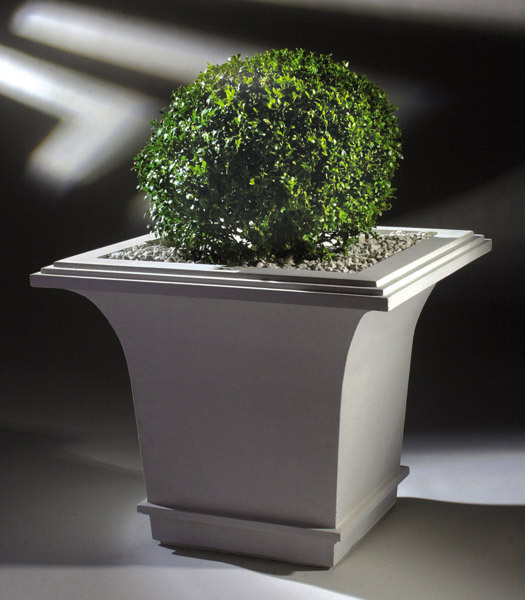 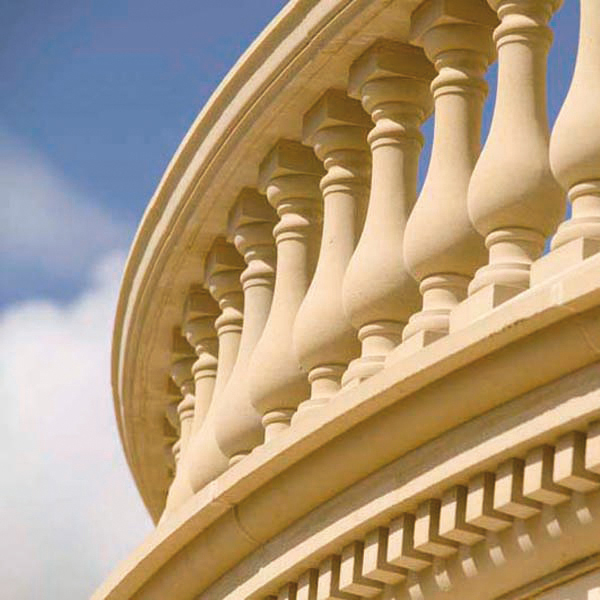 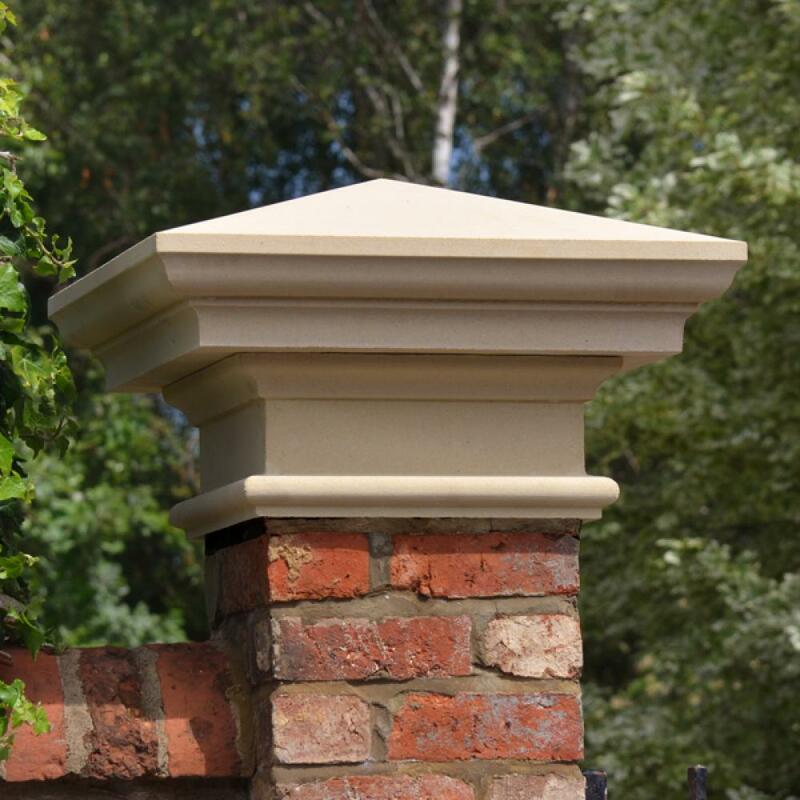 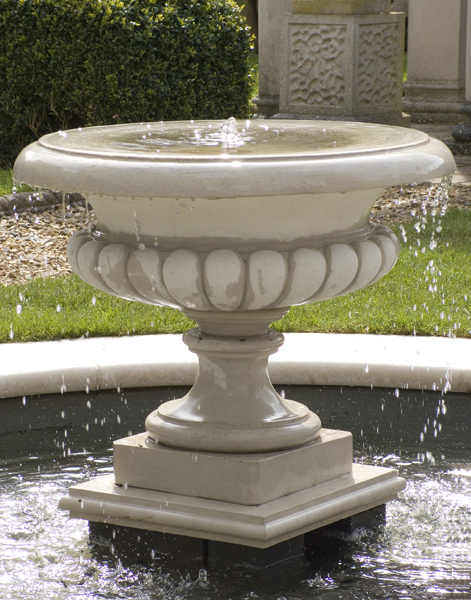 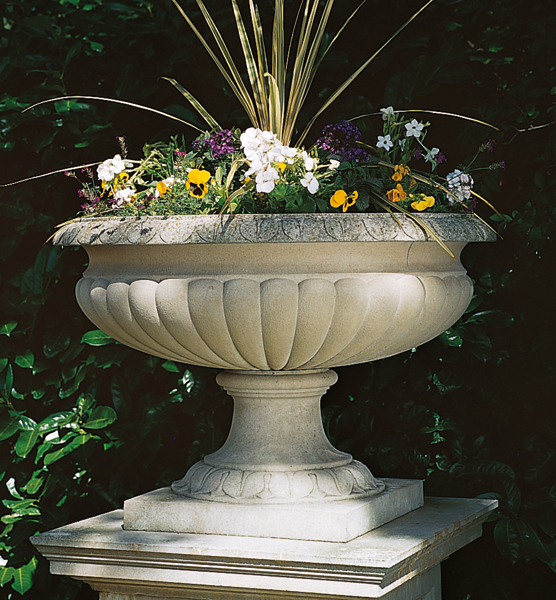 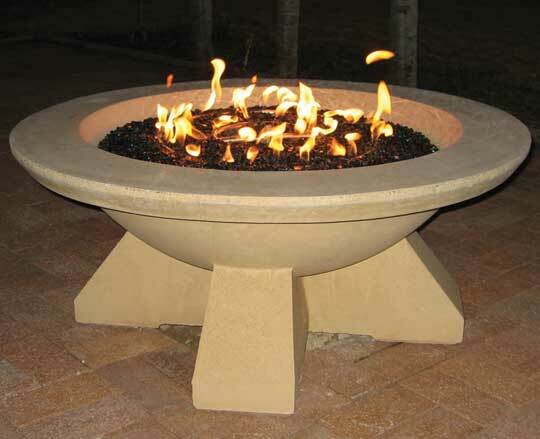 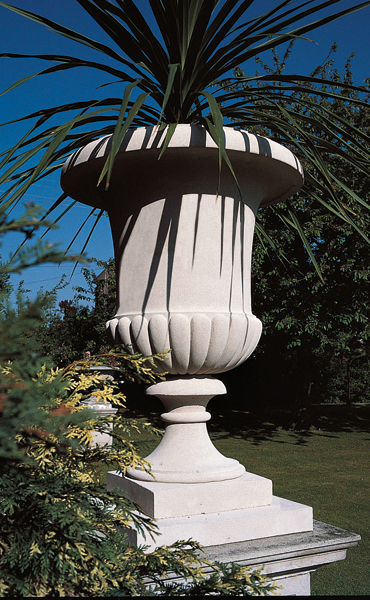 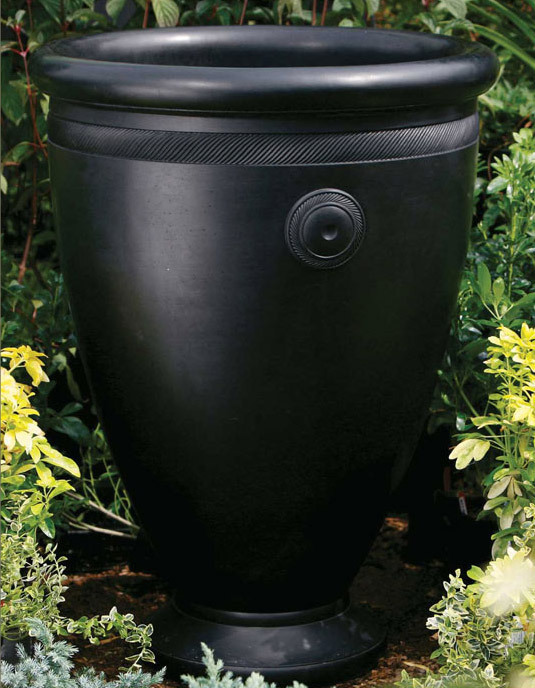 The Hadrian Vase will look impressive in a formal garden both planted and without planting in a variety of gardens and landscapes. 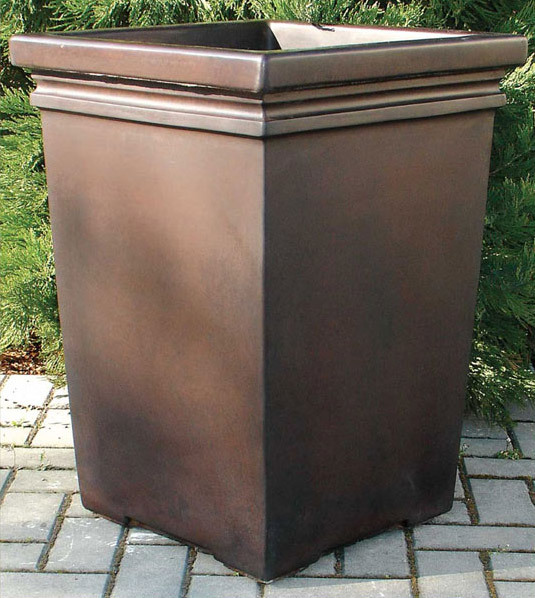 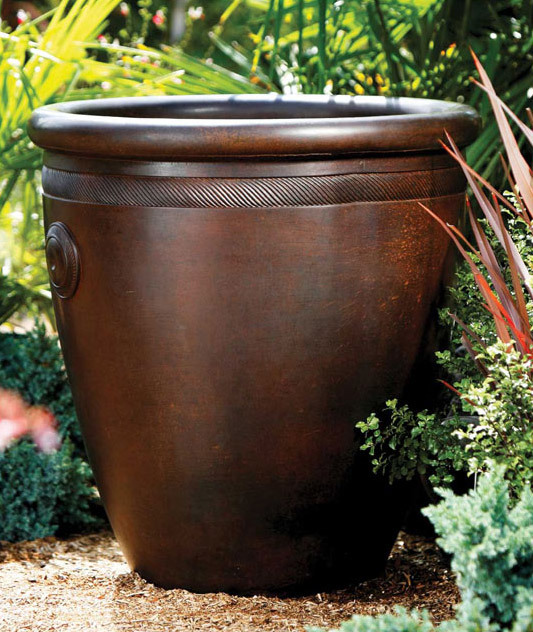 The Hadrian Vase is available in Portland, Bath and Terracotta colors.